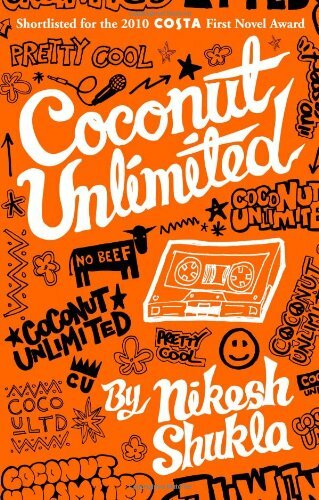 Coconut Unlimited, Nikesh's debut novel, is out now on Quartet Books. You can order it here or here if you prefer large conglomerates like Amazon. It was shortlisted for the Costa First Novel Award in 2010 and the Desmond Elliott Prize for Fiction in 2011..
Coconut Unlimited follows the adventures of three hapless, hip-hop obsessed Asian boys in an all-white private school. It’s Harrow in the 1990s, and Amit, Anand and Nishant are stuck. Their peers think they’re a bunch of try-hard darkies, acting street and pretending to be cool, while their community thinks they’re rich toffs, a long way from the ‘real’ Asians in Southall. So, to keep it real, they form legendary hip-hop band ‘Coconut Unlimited’.